After being seconded to another presidential attack man, Doyin Okupe who was made The Senior Special Assistant on Public Affairs, my very senior colleague Ruben Abati has decided to prove that he is still very relevant. They” in this piece refers to all the cynics, the pestle-wielding critics, the unrelenting, self-appointed activists, the idle and idling, twittering, collective children of anger, the distracted crowd of Facebook addicts, the BBM-pinging soap opera gossips of Nigeria, who seem to be in competition among themselves to pull down President Goodluck Jonathan. This army of sponsored and self-appointed anarchists is so diverse; many of them don’t even know why or how they should attack the President. The clear danger to public affairs commentary is that we have a lot of unintelligent people repeating stupid clichés and too many intelligent persons wasting their talents lending relevance to thoughtless conclusions. Hold on. I don’t want to be misunderstood. I am not saying nobody should criticize the Nigerian President. I spent some time learning that legal maxim: “volenti non fit injuria”. Public position comes with its own share of risks and exposure. But the twittering, pinging, Facebook crowd of the new age must be guided by facts. Hold your stone. Don’t haul it yet. Shhh. Wait, Mr. Alaseju! I have spent the last fourteen months working with President Jonathan. I have followed him everywhere. I can write a whole book on his Presidency so far, but you won’t get to read that until much later. I have heard that some people are protesting that they will not buy the book if it gets written. Well, your choice. What I can report, for now is that he is a grossly misunderstood President. Too many people are unfair to him. They criticize him out of ignorance. They abuse him out of mischief. And the opposition doesn’t make things easy at all. Can we look at a number of issues? You say he is a clueless President. You are wrong. He is not clueless. Nobody is more committed to the Nigerian Project than President Jonathan. In spite of unforeseen challenges which his administration has had to contend with, President Jonathan is doing his utmost best to positively transform Nigeria. Ordinary Nigerians know and appreciate this. Those parading themselves as leaders of the opposition who claim that the President has lost the support of Nigerians represent only themselves and their selfish interests. President Jonathan is a clever, methodical and intelligent man, who is very adept at wrong footing all the persons who make an effort to second-guess or under-estimate him. He understands the complexity of Nigeria. He is acutely conscious of the historicity of his emergence as Nigeria’s No. 1. He knows that he is here as the leader of all Nigerians. He knows that he is a representative of all common persons, particularly the children of all blue collar workers who never wore shoes or got a chance to eat three-square meals, and whose mothers and aunties could never be part of policy-making processes. When he spoke about not wearing shoes as a child, he meant that as a metaphor for the disparities in the Nigerian system, and the urgent need to redress inequalities. But I have heard some persons responding literally that Nigerians should never vote for a man who never wore shoes. How simplistic. Attention needs to be drawn to the fact that a rooted, people-sourced President who seeks to transform Nigeria, and who campaigns on a platform of transformation, will necessarily be opposed by those who consider themselves the children of Empire builders, those who think that their ancestors built Nigeria. Wrong. The Ijaws, the fourth largest ethnic nationality in Nigeria, have as much right to have their son as President as every other Nigerian group. But Jonathan doesn’t even dwell on this. I have never heard him utter an ethnic statement. He sees himself as the President of all Nigerians. He is at home with every group. He is focused on the challenges of nation-building. He wants to transform Nigeria. He wants to unite the country. He is determined to promote the country. And he is doing so already. He knows Nigerians want regular power supply. He is working at it. That is why we have crossed 4, 400 MW. He knows Nigerians want infrastructure. That is why he is telling Bi-Courtney to fix Lagos-Ibadan Expressway or get out. That is why he is telling a particular Minister to fix the East-West road and get it fixed quickly. That is why he has directed the relevant agencies to get corrupt persons to answer for their misdeeds. That is why he is strengthening Nigeria’s foreign relations. That is why he is transforming the agriculture sector, from a contract-awarding, fertilizer distribution enterprise into big business. And more… The reason President Jonathan does not go into a song and dance routine is because he knows that true rebranding of a nation is a projection of positive things that are already happening. They say he is “tribalistic”. Not true. How many Ijaws are in President Jonathan’s inner circle? Very few, I can tell you. There are of course, all kinds of persons who go about telling people that they have the President’s ears and eyes. They would even tell you that they think for the President! I used to have nightmares whenever I heard that, but it no longer bothers me. I have since learnt that some Nigerians consider it fashionable to wear false garments. The Presidency qua Presidency is staffed by key officials from all parts of the country. The Secretary to the Government of the Federation is from Ebonyi State. The Chief of Staff and the Head of the President’s Secretariat are both from Edo, the Protocol Liaison Officer and Principal Private Secretary are from Adamawa, the Chief Detail is from Borno, the Aide De Camp (ADC) is from Kogi, the Perm Sec, State House is from Benue, the State Chief of Protocol is from Kwara, the Special Adviser, Media and Publicity is from Ogun, the Chief Physician to the President is from Rivers. Only the Chief Security Officer, the Special Assistant, Domestic and the Special Adviser, Research and Strategy are from Bayelsa. When he is in the office, and he gets there early every day, and works till very late, he is exposed to all categories of Nigerians. He runs a modern and open Presidency. He is on Facebook, Twitter, email, SMS, BB, and he reads. And he writes. This is not a provincial President. The intelligentsia, his immediate community, should support him to do his work. They say Mr. President drinks. My friend and colleague, Etim Etim, called the other day to say that whatever may be the challenges on this job, he could affirm that I am at least enjoying. “What with all the choice drinks on every trip,” he said. I told him, “No, we don’t drink.” He protested. He thought I was lying. He had heard that kain-kain is a staple fare on presidential flights. I told him No. We are not allowed to touch alcohol. Alcohol is not served during official duties. Yes, when there is an international function, wine is served, but nobody gets drunk around here. That will amount to an act of indiscipline. The President himself does not allow alcohol to be served at his table. But when you go to social media they tell you something else. Lies. Lies. Lies. Let me end by saying that the President is a simple man but simplicity is not naivety. If simplicity were to be naivety then the world would not be where it is today because it is simple men like Abraham Lincoln, Mahatma Gandhi, Martin Luther King, and Kwame Nkrumah, who have shaped the world that we live in by simplifying what others have complicated. 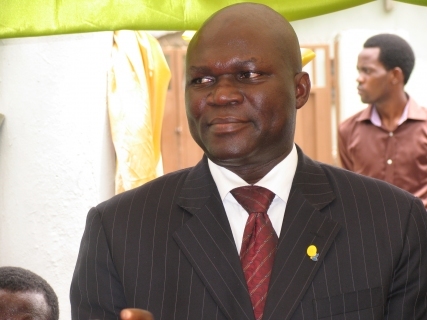 Dr. Abati is Special Adviser (Media and Publicity) to President Jonathan.